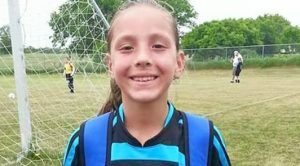 An 11-year-old Oakfield Township girl is fighting for her life after she was hit by a car in front of her parents’ home on 14 Mile Road last Friday, October 6. She was still in critical condition at press time Wednesday, October 11. According to the Michigan State Police, the accident occurred about 5:50 p.m., on 14 Mile Rd, between Harvard and Ramsdell. They reported that the girl was struck by an eastbound vehicle and was sent to Helen DeVos Children’s Hospital in critical condition. The accident is still under investigation. Oakfield Township Fire assisted MSP at the scene. The girl, Cora Gonzales, is a fifth-grader at Cedar View Elementary, and the daughter of George and Cookie Gonzales. According to her gofundme page (https://www.gofundme.com/love-for-cora), she has bleeding in her brain in two separate areas, a broken left eye socket, an enlarged pupil in her left eye, a bruised kidney, a broken pelvis and left arm, and many bruises and cuts. Part of her skull has been removed to relieve pressure on her brain. An MRI Wednesday showed damage to the inner parts of her brain. The family is asking for prayers for healing for Cora. “Cora is an outgoing, beautiful, talented well-liked 5th grader at Cedarview,” Cookie told The Post. 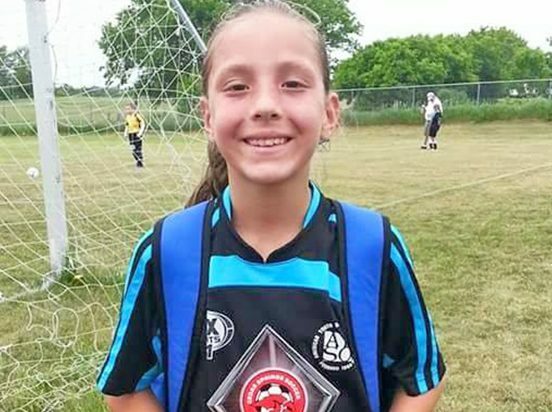 “She loves playing soccer with the AYSO United team, running, wrestling, camping and spending time with her siblings and friends. She also loves participating in church events and loves her Lord, Jesus Christ with all her heart. We are humbled by all of the outpouring of support from the communities of Cedar Springs, Lowell and beyond,” she said. The gofundme page has been set up to help the Gonzales family with Cora’s medical expenses not covered by insurance. Follow the link (https://www.gofundme.com/love-for-cora) to donate. You can also keep up to date on what’s happening to Cora by following Team Cora on Facebook.